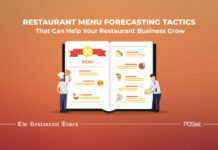 For making any restaurant a success, lot of components ranging from management to décor, to staff to food and location and more plays a role, but one of the most critical aspects of making a restaurant successful is the restaurant design. A floor plan that abides by the restaurant design standards and guidelines aides in the achievement of a restaurant owner’s business plan. Creating a restaurant design and floor plan involves knowing every anthropometrical viability, that is, the space required for human sitting and movement, the area you have, and making optimum utilization of the space keeping in mind the requirements of your restaurant business. Ideally, restaurant planning and design should showcase that 60% area in a floor plan must go to the dining area and the other 40% to the kitchen, storage, freezer, etc. For this, the Restaurant Design and the Restaurant Interior Design need to be in total sync with each other. We have already covered Restaurant Interior Design earlier; in this article, we will be focusing on how to create a Restaurant Design and Floor Plan that makes complete use of the area available. The primary motive of a restaurant’s floor plan is organizing the available space for the requirement of furniture in the restaurant in the most efficient way. The fundamental component of any restaurant interior is the chair and the table. Depending upon restaurant type, menu, service table setting and the degree of intimacy required, table size and overall chair space requirements can and should vary considerably. A restaurant that encourages rapid turnover of customers will typically provide a smaller table top and chair. 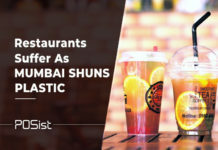 On the other hand, restaurants that encourage limited turnover and emphasize the wining and dining experience will usually offer larger table top sizes and more comfortable chairs. Circulation and egress- This is the movement of the people, how the staff and the customers can move around and enter and exit the restaurant. 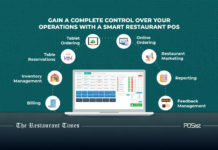 Methods of service (self or monitored)- The restaurant design will very much depend on whether the staff would serve the food, or if it is a self-service restaurant. The overall dimension of the given space- The restaurant design heavily depends upon the whole proportion and area available. Based on this, the architect would draft the restaurant design and create a floor plan. You need to hire an architect or an interior designer who would help you with your restaurant design and floor plan. The architect would be able to come up with the spatial configurations and draw up the floor plans to make sure that the layout is safe with the most pleasant ambiance. He will be the one dealing with where and how to build a wall, design a staircase and how to structure and collaborate various elements and principles of design in generating a harmonious and a functional floor plan. You would also need a contractor who would be responsible for supervising the construction. The contractor can implement the design and guarantee the on-time completion of the construction work. However, at the same time, the restaurant owner has to ensure that there is coordination between the architect and the contractor. The space requirements for the restaurant design must always be kept in mind. 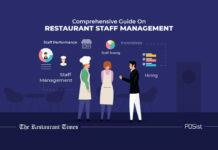 Below are few of the most important features that one should keep in mind to make any restaurant design and floor plan efficient. Human comfort in an indoor space primarily relies on thermal comfort and indoor air quality (achieved by temperature, humidity control good and ventilation), lighting and acoustic comfort. Apart from these, the floor plan must be such that space available for design should be able to provide each customer with comfortable personal space. There must be enough space in the design to sit, stand, walk in and walk out comfortably. The internal heat gains are very high in all restaurants (especially in kitchens) due to cooking, lighting, electrical equipment and the number of clients. HVAC (heating ventilation and air conditioning) forms an important feature and consideration for achieving a functional restaurant design. Lighting Design aims to enable the occupant to work and move around in safety. It provides for our visual needs, and also safety and security. People intuitively know that light affects their mood. The challenge while designing lighting is to understand under what circumstances certain visual conditions might be better than others and to use that knowledge to create lighting systems that improve overall performance and human comfort. Light in restaurants can be divided into three categories- Ambient, Accent and Mood Lighting. While Ambient lighting is used for normal functions, accent lighting is focused on a particular area. Mood lighting is for the aesthetic, and it is the combination of these three that define lighting in restaurant design. In restaurant interior design psychology, lighting is considered an essential factor and the restaurant design focuses on the function and psychological impact of various lights. The floor plan must be designed in cahoots with the overall effect and placing of each of these light elements. Restaurant interior colors also play an essential role in the comfort and perception of the customers. Read how restaurant interior colors impact customers’ food choices here. People are talking, background noise or sound and architectural design of the restaurant itself impacts the overall acoustical quality of space. The quality of ambient music in a restaurant straightaway regulates the user experience and ultimately the feedback. The average noise level of a typical restaurant during a dining rush is 80 dB (some reach as much as 110 dB). Restaurants traditionally have carpeted floors and soft furnishings and upholstered chairs, tablecloths and curtains which provide sound absorbing qualities. Recent trends lean towards a modern look which generally includes high ceilings and hard surfaces; though these features are aesthetically pleasing, they are known to produce excessive room echo. As these venues are usually fast-paced and crowded, this makes for an uncomfortably loud environment. A study shows that louder bars increase the amount and pace of alcohol consumed, but for a restaurant, a balance needs to be created concerning aesthetics and desired acoustical levels for ultimate human comfort. 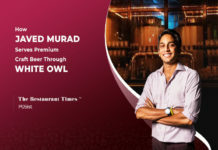 The space design plan should be made in such a way that allows the servers to move quickly with food and beverages in the restaurant and also allows the guests to move in and out of the restaurant freely. Floor plans should also provide customers with enough elbow room. The areas for specific function need to be decided in such a way that the seating space is maximized without compromising on the customers’ level of comfort. Allocating enough space to work comfortably and efficiently in each area is essential. Your restaurant floor layout should focus on the comfort and enjoyment of your customers while maintaining an efficient circulation pattern. Restaurant design standards require that there should be sufficient space between tables. For instance, if there’s an emergency and you need to evacuate the building, having clear pathways to the exits is an integral part of keeping everyone safe. Wide paths should be built to avoid employees and guests alike tripping and hurting themselves as they navigate your dining room. Although specific layouts vary according to the type and size of the restaurant, most floor plans include similar components. The spatial arrangement within the floor plan should be in such a way that that two primary functional spaces i.e. “the front of the house”- constituting of the entrance, waiting lobby, POS, Dining area, Bar/Lounge are well connected to “the back of the house”- constituting of the kitchen, pantry, storage, service entry, and administration areas. The designer needs to find a balance of connectivity and privacy of this area. As a thumb rule, it is essential to understand that the back of the house and its functioning needs to be hidden from the customers. This is one of the most critical parts of a restaurant design plan. 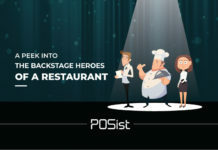 The entrance of your restaurant casts the first impression of your restaurant on the customer. The entry gives a preview of the type of space a patron is going to enter. A well-designed restaurant design plan should ideally provide ample space that is welcoming and should evoke curiosity in the customer to come in and dine. The act of entering can be signified in more subtle ways than just puncturing a hole in the wall. The entry can be an elaborate one which emphasizes the opening or can bring forth the theme of the restaurant. For example, a Greek-style theme would have an elaborated and articulated gateway, rough-worn distressed wooden furniture at the front desk, white and navy/sky blue color paint for the walls and new Greek-style light fixtures. Able to draw people in and make them feel immediately comfortable. Well maintained & easy to open. Does the design allow staff to greet people well? Does the entrance make customers feel welcomed? Does it allow a free-flowing circulation for customers as well as the staff? The dining area of a restaurant is the soul of the place. The customer spends 98% of the time in this area. While designing the dining room layout, your primary aim should be that your customers be comfortable in the seating area and enjoy their food. The Dining Area as you can see in the image below should ideally include the customer’s waiting area, customer takeaway counter, seating area, and POS terminals. Your interiors in the dining area have to be designed depending on the concept and the theme of your restaurant. This, of course, would also depend on the area available and the theme of the restaurant. Your dining area setting should be in sync with the theme of your restaurant. The seating area should be designed with at least three sizes of tables with the motive to accommodate small, medium and large parties accordingly. The window area space can be used for small two-person tables. Similarly, the middle section can be best utilized for accommodating larger parties. Between every dining table, there should be a standard of 3-4 ft to avoid any chaos and disturbance. There should be ample space that allows for the free and seamless movement of the servers. The waiting area is often overlooked while creating restaurant designs. Overlooking this area results in diners waiting for the table. There should be enough space for guests where they could wait for dining. 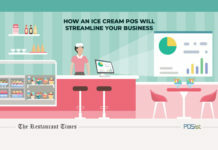 The POS system should be positioned at a place which will maximize the efficiency. There should be the minimization of the staff running back and forth between the payment stations. Your restaurant design should be structured to get as many tables as you can into your dining room. The number of tables could greatly affect how many tables turn (and checks) you have in a shift. 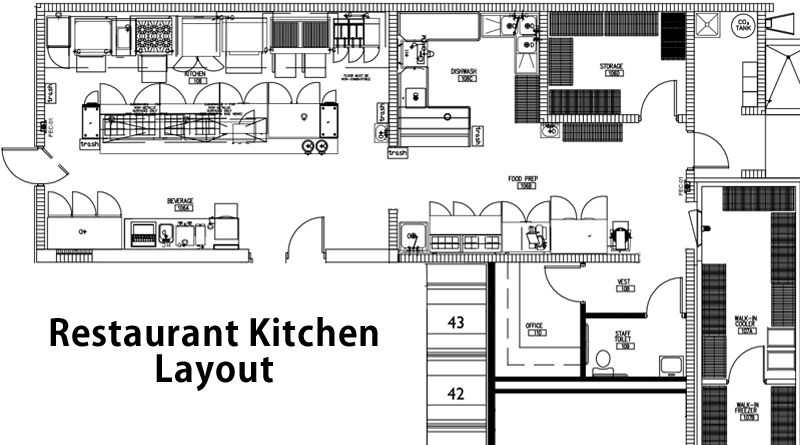 One of the most important components of your Restaurant Design and Floor Plan is your Kitchen Area. The kitchen is designed primarily taking into consideration the views of the Head chef, kitchen consultant, architect, and the contracting firm representative. The kitchen consultant is responsible for the design and usually providing the kitchen items like Stainless steel units, suitable chimneys, freezing units, and others. The electrical and plumbing services are provided by the contracting firm with a consultation of the kitchen consultant and the architect. A well-laid out kitchen will make your staff happy and more efficient in their work. Specific kitchen working zones- Specific kitchen working zones should be defined in the kitchen floor plan. Namely, pre-preparation area, food assembly and packing, and washing area. Designated spaces– Kitchen and food storage areas include designated spaces for cooking equipment, food preparation, and dishwashing, as well as cold and dry food storage. Moving area in the kitchen– The layout shall be made in such a way that allows the kitchen staff to move in quickly, swiftly and efficiently. Providing enough space is critical to avoid accidents as well. Proper ventilation– Ensure adequate ventilation in your restaurant kitchen as it is necessary for the health of your restaurant staff and also reduces the chances of the various items being prepared in the kitchen waft to the dining area. Employees restrooms: You may also choose to include an office, employee bathrooms or a break room in the back of the house. An efficient Restaurant kitchen floor plan shall include adequate space for receiving and storing goods, inventory, water closet, prep areas, cooking stations, food storage, water closet, dishwashing zone, inventory, equipment. It is suggested that equipment with similar functions should be stored together and after their use, they should be kept in their proper place. This is one of the most important zones of the kitchen area where the actual food preparation will take place. All the equipment like burners, oven, grills, tandoor and other equipment needed for the operations pre-decided will have to be positioned in this area. This is the area where most of your kitchen prep happens. The prep area needs to be well equipped to accommodate all the ingredients needed for the preparation of the food. The storage area should be well equipped to store all the dry goods that are mostly bought in bulk such as rice, flour, sugar, lentils, oils, whole spices, and spice powders. This space shall be designed and maintained so that it is moisture free and free of pests and rodents. The store area is generally designed adjacent to the kitchen. It serves as a facility storage facility for both the kitchen and dining items of the restaurant. Another crucial element of the kitchen design is the cold storage area. There is a continuous need for cold rooms, deep freezers and perishables to stock perishable like meat, seafood, and frozen food. The facilities that you would need in your cold storage will depend on the quantity the restaurant handles. The maintenance of the cold storage also needs to be done. The washing area in the restaurant should be allotted the maximum space for the workflow to be smooth. The washing space should be equipped to accommodate to wash the large cooking vessels, cutlery, crockery, and other utensils. There should also be a space where the used cutlery, crockery, utensils would be kept for washing. A pantry is a room or a ready to serve the area where beverages, food, and sometimes dishes and others as decided by the head chef. There should be a space for a staff toilet. A small area can also be created for staff where they could change their uniforms and keep their personal belongings or things they would need for their use. 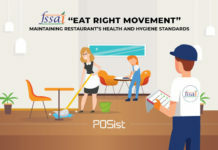 It is undisputed that the restaurant owners need to pay ample attention to the food and services offered by them, but at the same time the cleanliness of the restaurant especially the restrooms form an integral part of the customer’s dining experience. The toilets should ideally be divided into male and female sections. Give special attention to this area as it is usually ignored in the restaurant planning and design stage. Restrooms leave a lasting impression on the mind of the customer. They should have sufficient lighting and easy to clean and maintain. Every customer will appreciate sparkling, clean and large enough restrooms to accommodate multiple guests. The restrooms should be easy to access for the customers without unnecessary wandering. It is advisable that the restrooms shall also have wheelchair access for catering to the specific needs of physically challenged customers. It is necessary that the restaurant restrooms should be properly equipped with sanitation facilities, especially trash disposal, and have proper designated space on the bathroom floor plan. The restrooms should also be equipped with proper lighting. The electrical part of the restaurant is a fundamental and crucial aspect both of the operations and safety of the establishment. Depending on the location the wiring, termination, lighting fixtures, cabling need to be taken care of both professionally and diligently. Plan the location for the main control panels, Generators, etc. systematically. Restaurant design and floor plan are ultimately a balancing act between various, functional needs and requirements of restaurant design. 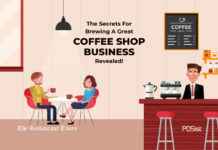 Designing your restaurant floor plan might seem a little easier task as compared to financing, licensing or construction that goes along with starting a business. But Floor plan is a critical aspect of effective restaurant design. 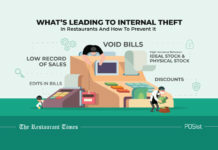 You know your restaurant floor plan is poor when there have been instances in your restaurant when any customer might have smacked his head with a server while passing through a tight corner, or a customer might have had to sit with a stranger to let someone else pass through the aisle way. Therefore, you should always avoid these disastrous situations by analyzing your restaurant design requirements and specific needs before finalizing the layout. 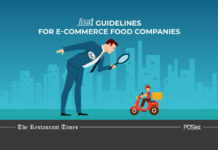 Great information on restaurant design and layout. Thanks for sharing. 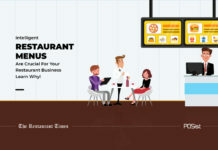 Restaurant layout guidelines help you plan out your restaurant’s layout in a much better manner. This is a very informative article. Designing a restaurant floor plan involves more than rearranging tables. 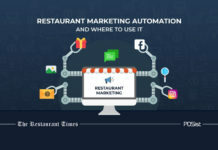 Your restaurant layout both supports operational workflow and communicates your brand to patrons. Very information, impressive writing style.